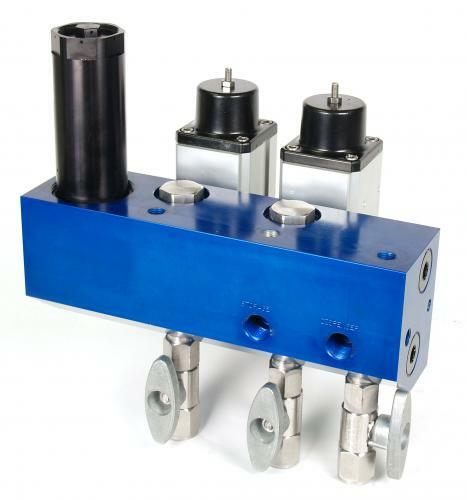 Hale Hamilton manufacture Priority Fill Manifolds for most types of Priority Fill systems. Flow Rates: upto 1500, 2000 or 5000 nm3/hr depending on the model selected. 1, 2 and 3 Line Manifolds available. Consistent Priority Valve Lift Pressure. Robust design (Pressure rating >1.5 times that of usual service pressure). Cheaper to install, especially when relief valves are fitted (only one vent port). Flow Rates: upto 2500 nm3/hr. Low Pressure Drop through manifold. Mechanical Priority Valve set below compressor final pressure to stop shut down at the end of a fill (gas diverted to high bank). Good contamination resistence (better than most solenoid valve products). Compact Design (significantly small than the equivalent panel). Built using Priority Manifolds to reduce the amount of piping / fittings required, lower the cost and save space. 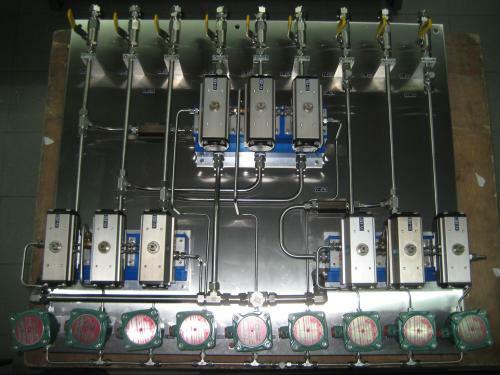 Hale Hamilton manufacture priority panels only when the process design is too complex to fit into a single manifold. Generally, piped systems cost more and take up more space than manifolds. Search our product selector or visit the Alternative Fuels section to select the appropriate manifolds for your application. If you can't find what you want, then send us an enquiry and our sales team will be happy to help.